Working overseas can be attractive for a variety of reasons. However, many have found that working in a different country, away from what is familiar and comfortable, is not only challenging but the increased stress experienced can affect both employee wellbeing and their mental health. For those workers with pre-existing psychological issues, the detrimental effects of working abroad can be even more pronounced. 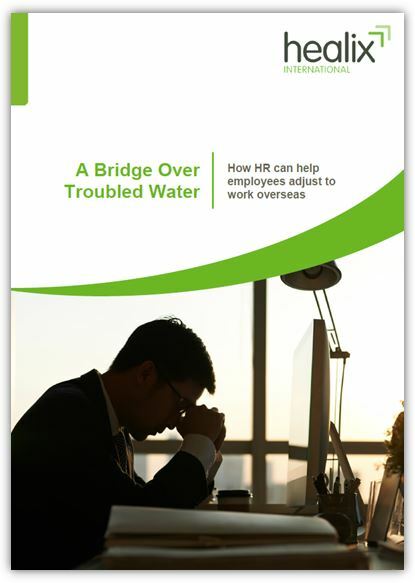 In this article, Dr Simon Worrell, Head of Medical Communications at Healix International, explains how HR professionals can help employees adjust to work abroad by careful preparation before the employee is posted, continued support during work overseas, and attention after they have returned home. Click the button below to read the full article.